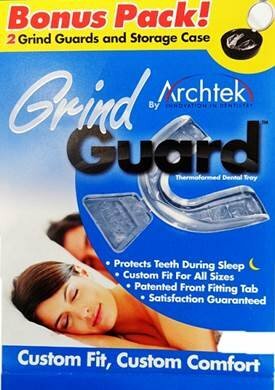 The Archtek Grind GuardTM has been clinically proven to be as effective as a lab produced acrylic splint.It includes one thermoformed dental tray.It fits to your teeth in just 7 seconds in warm water. Includes one thermoformed dental tray. Attractive 3" diameter cosmetic case with mirror. Fits to your teeth in just 10 seconds in warm water. Front fitting tab for easy forming in hot water. If you have any questions about this product by Archtek, contact us by completing and submitting the form below. If you are looking for a specif part number, please include it with your message.